With the side-to-side motion of the TRUE Traverse, users will get a unique cardio workout that sculpts the core and lower body in a side-to-side motion. The TRUE Traverse features exclusive Cardio 360 workouts that activate more muscle groups than on other cardio machines. This lateral trainer is manufactured with high-quality components to ensure that it's a durable product for the busiest recreation centers, and that will provide a better workout in less time. 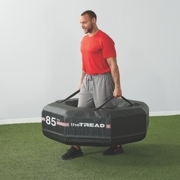 One of the newest products that Perform Better has come out with this year is a unique training tool called The Tread. The Tread is a fun and challenging way to build strength and power, and can be flipped, carried and jumped on. It is constructed of durable foam and heavy-duty vinyl with reinforced top handles, making it easy to perform farmers carries as well. There are three weight options, making these perfect for anyone to use. Technogym's SKILLRUN is the first piece of performance running equipment designed to meet the training requirements of high-level athletes, demanding fitness enthusiasts and everyday runners—from sprinters to marathoners and triathletes. 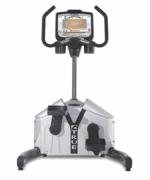 Due to its unique and innovative Multidrive Technology™, SKILLRUN enables users to perform running sessions and resistance workouts, such as sled pushes and parachute runs, on the same piece of equipment, providing a well-rounded cardio and power training workout. Helix Company announces the introduction of another breakthrough fitness modality—Recumbent Lateral Trainers. 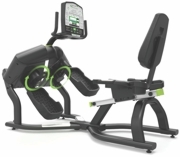 The HR3500 Commercial Recumbent Lateral Trainer is the most unique, compelling and effective recumbent fitness product available. Its bi-directional, 360-degree multi-plane motion delivers complete muscle activation throughout the lower body, including the glutes, inner/outer thigh, quads and hamstrings. The result is complete training, greater calorie burn in less time, and dramatically improved lateral stability. 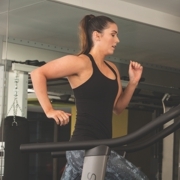 Queenax Functional Fitness by Precor is a versatile, space-efficient system that gives fitness directors the ability to easily convert from circuit to small group training. Incorporate the Assault AirBike and Assault AirRunner into your Queenax functional fitness system to add HIIT, one of the hottest fitness trends, to your programming. Your trainers will have the ability to make their training quick, effective and engaging, but also unique to your rec center. The Concept2 BikeErg uses an air resistance flywheel to create a smooth, quiet ride that responds to the user's effort. The damper is the "gearing," allowing users to adjust the feel of the ride. The BikeErg has a clutch, so when pedaling stops, the flywheel keeps spinning. With the same powerful Performance Monitor 5 (PM5) as the company's indoor rowers and SkiErg, the BikeErg provides instantaneous workout feedback, with a variety of displays and workouts. The unique BattleRope ST combined body weight suspension training and battle rope training in one fun, engaging and effective workout. Perform standing oscillations, chest fly, knee ins, slams, hi rows and more. Dual Function Upper Mount easily attaches to your Impact Cage for new dimension in small group training. Or, use the BattleRope ST® Bracket System to easily mount to any wall in your studio or fitness facility. It's a step, it's a balance trainer, it's a multifaceted Group-X machine, it's the soulmate of resistance bands—it's more than 250 exercises (and counting). It's the shape of things to come. Getting in shape is just as much about staying engaged as anything else. The Terra Core is a virtual aerobic playground, building strength, balance and agility like nothing you have ever used. It is designed to fit the body's natural shape and provides enough real estate to accommodate any modality.